A perennial question of graduate school applicants is how much influence GRE scores have on admissions. Unlike the role of LSAT or MCAT scores, which are not only of critical importance for their respective programs’ admissions but also operate in a somewhat quantifiable and predictable manner in the admissions process, the role of GRE scores is more difficult to pin down. In fact, the importance and use of the GRE varies dramatically from school to school, department to department, and even person to person. If there has been a change in the admissions committee for a particular graduate program, it is a safe bet that there has been at least some concurrent shift in emphasis for the GRE. What merit or utility, if any, does the GRE retain in the admissions process for these and similar programs? As a purely pragmatic consideration, will a good GRE score make a difference, or would an average score be good enough? 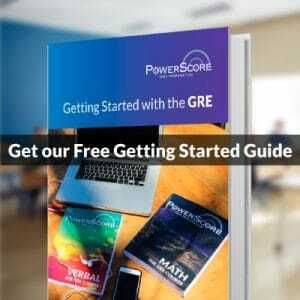 If GRE scores do not correlate with success, what purpose do they serve? First, it is important to note that these studies concern only biomedical student performance. It would be a hasty generalization to say the least to extrapolate from these findings to student outcomes in other science specialties, or worse still in graduate studies at large. However, assuming that to some extent the GRE is of limited utility in predicting graduate student success, especially in biomedical and similar science specialties, what purpose can it still serve in the admissions process for these programs? 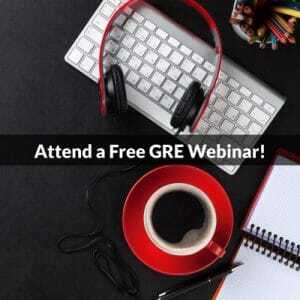 To answer this question, it is necessary to highlight a limitation of these studies that in fact reinforces a significant and common aspect of the use of the GRE by many admissions committees. The Science article notes that while the studies revealed no significant correllation between GRE scores (or undergraduate GPAs) with student success, the sample of students studied had GRE scores overwhelmingly above the median (150-152 for each Verbal and Quantitative Reasoning) and GPAs almost always above 3.0. These were all students who had already been admitted. It would be difficult to draw conclusions about the role played by the GRE in applications that were rejected or what correlation might exist between this new larger sample of GRE scores and student outcomes, had all applicants been admitted and given grad school the old college try. The nature of the sample itself demonstrates the manner in which the GRE is used often as a soft baseline in the admissions process. An exemplary score may not improve your application significantly, but below a certain score your application may invite scrutiny or raise doubts about overall aptitude. It is not uncommon for otherwise qualified applicants with sub-par GRE scores to be asked to retake the GRE at least to try to achieve a certain score in a section to demonstrate some minimal proficiency. However, it is uncommon for graduate programs to establish binding minimum scores for applicants. And Leslie Kay, a professor of psychology at the University of Chicago in Illinois who chimed into the Twitter discussion, also considers GPA when she evaluates applicants because she believes that being a good scholar is as important a qualification as being a good researcher. Like Weiner, she does not necessarily consider a low GPA to be completely disqualifying—but what she looks at to counter it is the GRE score. If both are low, she takes that as a sign that the applicant is not the best candidate for her program. In my own experience, I have spoken with admissions committee members for both liberal arts and science programs who are skeptical of the GRE but not entirely dismissive. One psychology professor I spoke with even noted an anecdotal negative correlation between high GRE scores and performance: he found that quite often students with near perfect to perfect GRE scores failed to complete their graduate programs. I am a prospective grad school applicant. What do these studies actually mean for me? As a practical matter, if you are in fact an applicant for a biomedical graduate program, it is likely that the departments to which you are applying are already aware of the phenomenon that prompted these multiple studies, even if the admissions committee members themselves are not familiar with these particular studies. It is not an accident that the GRE is under continuous scrutiny by graduate programs. Since they are requiring a standardized test to serve some valid purpose, it makes sense to continue to investigate what significance it has for their admissions process. Thus, you may expect your GRE score not to be a “deal-breaker” for you in admissions. Your undergraduate GPA will be of greater significance, but of greater significance still will be any extraordinary accomplishments or experience you have that is relevant to your program (publications, awards, work experience, etc.) and your letters of recommendation, the strength of which as reported in the Science article actually does correlate with performance in graduate studies. As always, it is without doubt wise to contact the departments to which you are applying to ask what they expect or wish to see in your application. A poor to just-below-the-median score may raise flags, prompting closer review of the rest of your application or perhaps leading the department to ask you for an explanation or to retake the test. If the rest of your application is competitive, it is unlikely the department would not admit you solely because of the GRE score, but this is an unenviable situation for any applicant, with perhaps a de facto ultimatum to retake the GRE or explain poor performance. An above-average to excellent score may aid your application to a certain degree, on the one hand ensuring that the GRE score is not an obstacle or on the other hand giving you a marginally significant, and noticeable, asset on your application. There are of course certain kinds of programs for which anything other than an excellent score would be to some extent disqualifying. For instance, if you are applying to a mathematics graduate program, you should expect to need a very high quantitative reasoning score. The mean quant score for intended mathematics graduate students is 163 (top score is 170), with a standard deviation of 6, fifteen percent perfect scores, and less than ten percent of scores below the overall quantitative median of 152. I hope this post will illustrate that you do not need to panic or obsess about the GRE! Should you ignore it and take it cold? Certainly not. You should do the preparation necessary to ensure performance competitive for your field and your school. Likewise, you should do adequate preparation to approach the GRE confident in your skills and in the result you will obtain. However, should you view a perfect or near-perfect score as either making you a shoo-in for admission or worth pursuing to the detriment of any other aspect of your application? Absolutely not. With the exception of certain specialties (with the example of math noted above), a top GRE score is a positive aspect of your application but neither sufficient nor necessary for admission to graduate school. You should feel a sense of relief and perhaps a degree of clarity. Prepare for the GRE with purpose and direction. Plan to do what is necessary to get the score you need or wish to achieve without letting the test become a source of unwarranted anxiety. Should you wish to pursue preparation with PowerScore, I encourage you to consider one of our excellent programs.